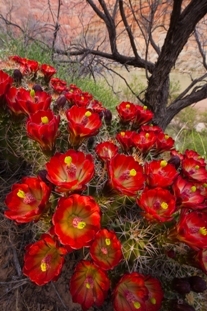 Hello and welcome again to the Arizona Raft Adventures and Grand Canyon Discovery bi-annual e-newsletter. Now in the sixth year of publication, The V Wave, (named after the legendary wave in Lava Falls rapid) keeps you connected with AzRA Discovery, the river community, and the Canyon. If you have trouble viewing this email, please follow the link at the top of this message to a web version. This issue features several subjects which includes AzRA's inaugural Short Story & Poetry Contest with its big prize. It also includes articles about unplugging from the electronic world of today, the Grand Canyon River Runners Association, AzRA's new logo, the opening of 2013 reservations, an all women's trip in 2012 and a book review on Breaking Into the Current. Every river trip has a moment that captures you, a moment that lingers at the forefront of your memories for years to come. For some it is the first light of the morning rising on the canyon walls, for others it is the rush of the Colorado River engulfing the boat with every rapid, and who can forget that moment that left everyone in camp laughing? Share your story or submit your Grand Canyon inspired poetry to AzRA's inaugural Short Story and Poetry Contest. Entries must be received by April 15, 2012. Three finalists will be chosen. The runner-up contestants will each receive an AzRA Logo t-shirt or cap of your choice. The grand prize winner will receive $500 off your next Grand Canyon rafting trip reservation. Stay tuned for the three favorite writings as they will be posted in May on the AzRA website, Facebook page, and in future issues of The V Wave. Read the complete contestant and submission rules for entry details. Packing up to leave for Lees Ferry from Flagstaff on the first morning, I felt a twinge of angst as I threw my cell phone in the suitcase. When was the last time I was without this constant companion? I pride myself in "unplugging" regularly, but certainly not for fifteen days! The average person spends about eight hours every day engaged with digital technology - cell phones, texts and emails, Facebook, blogs, twitters, googling, and gaming. And yet, a trip floating through the Grand Canyon means unplugging from this electronic noise and leaving our lives behind. Are there mental and psychological benefits from doing so? Or negative impacts if we don't? Only a half hour a day outdoors in nature has been shown to increase our ability to focus, concentrate, make better decisions, and to feel less stressed out. Research journals are now filled with studies that show the beneficial effects of being in nature. Those of us who already play regularly outdoors don't need research to tell us this but, unfortunately, in our "civilized" lives the average amount of time spent outdoors is only four minutes a day. That's about the time it takes to get back and forth to our cars! Twenty years of studies on children have found that too much "screen time" (more than one to two hours per day) leads to obesity and poor nutrition, learning and focusing difficulties, poor social skills, and higher rates of depression, anxiety, attention deficit disorder, irritability, and behavioral problems. I have a client in my counseling practice who is trying to break his 6000-text-messages-per-month habit. Using canyon language, perhaps it's now the norm to be drowning in a digital flash flood? 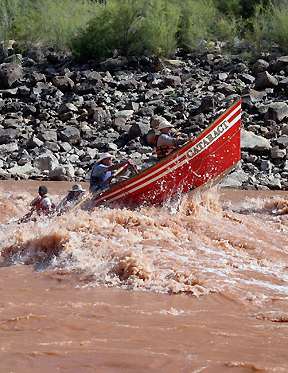 The Grand Canyon River Runners Association (GCRRA) was founded at a time when commercial boaters had been long overlooked by the National Park Service and other recreational river users when making river management decisions at Grand Canyon. GCRRA finally gave commercial passengers a voice and began working in earnest to enact its motto, "preserving public access to the Colorado River". Now an accepted part of the Grand Canyon political scene, GCRRA represents you whenever issues dictate. 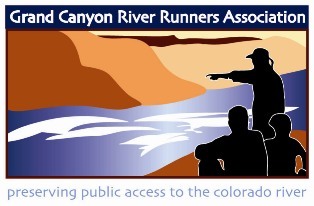 There are many benefits to being part of GCRRA but one of the greatest benefits is receiving the beautiful biannual newsletter, The Grand Canyon River Runner. The articles within keep you informed on management issues and updates. Each issue also gives you an instant reconnection to the river, with history, nature articles and entertaining writing from a wide variety of contributors. One of their favorite stories involves bagpipes and you can read it in the Fall 2007 issue. Award-winning photographer, Gary Ladd, wrote a fascinating story in the 4th issue entitled, "Hitchhiking Through the Grand Canyon by Boat". Please consider joining GCRRA, your voice in Grand Canyon. Individual and family memberships are available and range from $15 to $55. Full details on the GCRRA website. Arizona Raft Adventures and Grand Canyon Discovery would like to introduce the new logo. You will begin seeing the fresh and crisp looking new logo on the website, e-newsletter, on logo items and apparel, and eventually on all printed materials. So far it has received a lot of positive comments from both old and new guests and staff. We are now accepting reservations for 2013. View dates and prices here. To secure a reservation, call our experienced and friendly staff to inquire about current availability. There is still space available on select trips in 2012 and a small assortment of 2012 trip dates on sale from 10-25% off regular price. Would you like to go again but looking for a Grand Canyon rafting trip with an added experience? If the answer is yes, consider one of AzRA's specialty trips. We are also collaborating with partners to offer an even wider array of specialty trips. If you are interested, contact these organizations directly for details. 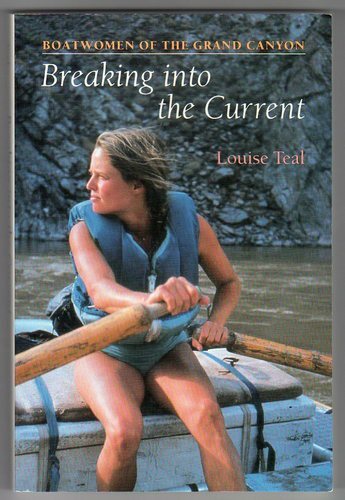 Prior to the late seventies, it was inconceivable that women could run a trip down the Colorado River through the Grand Canyon single-handedly. In August of 1978, a group of women did just that and changed Grand Canyon history. Several legendary AzRA boatwomen were on the trip including Jessica Youle, Louise Teal, Suzanne Jordan, and Lorna Corson. Jessica told AzRA, "The thing about that trip was that everyone expected us to fail, like we'd need a man to help us if we got in trouble, or needed to lift something heavy...well, we got in plenty of trouble, but we didn't need help." View the poster made by the women on this memorable trip. AzRA has partnered with Backcountry Babes out of Anchorage, to put an all women's trip on the schedule in August of 2012. Backcountry Babes has been inspiring women through outdoor adventure since 1996. They offer exclusive women's outdoor travel and workshops to empower female adventure recreationists of all ages. The programs are not only designed for women, but they are also led by women. Backcountry Babes is committed to providing an inspiring hands-on experience in the outdoors where women can learn about and feel comfortable in remote outdoor settings. Jenna, the "Head Babe", a.k.a. Owner of Backcountry Babes, chose AzRA because both Backcountry Babes and AzRA have similar business practices, values, and conservation ethics. She also admires the experience of the company. 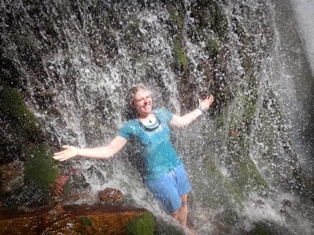 Jenna feels like a raft trip down the Grand Canyon is one of the most amazing experiences one can have in a lifetime, and she wants to share this experience with other women. She hopes the all women's Grand Canyon rafting trip will be on Backcountry Babes adventure calendar for many years to come. AzRA scheduled the Babes an all female crew including Sharon Hester, Kim Fawcett, Laura Fallon, Jan Sullivan and Beverly Caifa. This group of fine ladies will lead Jenna and the Backcountry Babes downriver on a 14-day hybrid trip from August 4-17, 2012. If you are interested in reserving please contact Backcountry Babes. You can reach them via email at babesinthebc@gmail.com or by phone at 907-444-8590. You can also register online. Before we close this issue of The V Wave, we would like to remind you AzRA has a Facebook page and a YouTube Channel. Our Facebook page features a Tip of the Week, photos, discussions from guests, announcements, trip reports, and more. Our YouTube Channel features video clips and AzRA's five promotional clips. Feel free to share these video clips on your social media sites. If you have not viewed AzRA's YouTube channel lately, you might like to visit it again as there have been many new videos from our guests and guides added to our Favorites list.